According to Seth Godin commercial mass media including TV, radio and print ads is a waste of money but I did not agree with him initially. 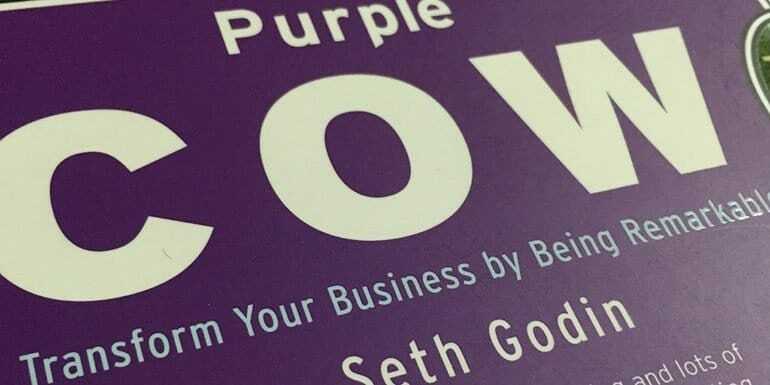 I read the book Purple Cow by Seth Godin and it actually changed my perception towards the TV ads. As I was watching TV yesterday, I found that each of the ad I saw was yet another waste of money ad campaign. This book is all about how you or your business can be remarkable and being the Purple Cow to get noticed. 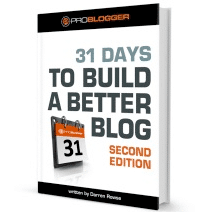 The book has hundreds of case studies how every business has or had of being remarkable. The case studies of business like Logitech, Motorola, Nokia, hallmark.com and many more and how each of those were remarkable and how you can apply the same to any business of your choice. The Purple Cow Book Changed My Perception Towards TV Ads completely. According to Seth Godin commercial mass media including TV, radio and print ads is a waste of money but I did not agree with him initially. I wanted to prove that it is not waste of money at least not in India and so I started to look for some good ads running on Indian TV that may have helped Indian companies flourish because of good marketing and to my surprise I was utterly disappointed. Here are some of the ads that I saw on Indian television yesterday and each and every ad that I saw was yet another cow (as Seth Godin calls it). Now I not only agree with Seth Godin that TV ads are just waste of money but I also found that so many TV ads that we see daily don’t have a single feature that is unique to their product. So let me share with you few ads to help you understand what I mean. Remember the actual ads may change over time but then I don’t think the stupidity of ads on Indian TV will. Idea a telecom company in India providing internet for phones. With Idea Internet “no ullu banaving” which means if you have Idea Internet pack on your phone, no one can make you a fool and you can use the Internet anywhere and everywhere to find any information. Is it something that is only applicable to Idea Internet? Things don’t stop only with Idea and Airtel (another telecom company in India) Internet ad is even one step further in stupidity. One touch internet. You touch and you are connected. Ohh come on, it has to be activated from my phone’s settings menu on my smartphone and if I am connected, I don’t need that one touch either. Vodafone Internet ads are not that loud but only says it has what you need which is nothing unique about Vodafone. As we are talking about telecom operator, how can we forget the mobile phones. Do you buy a phone because you can click a selfie with a blink of an eye? I would not and I am sure very few people would do that but Panasonic’s Eluga S is advertising about it quite aggressively these days. Such unique feature for an ad is very common among mobile phones like an oldie of share content by phone contact. Above ads clearly suggest there is not even a single feature that a company can offer that is unique to their product and this is the phenomenon is with everywhere for products being aggressively advertised on TV. Focus is not on TV but on aggressively. Soaps and fairness creme can make you fair and handsome. Not sure how many people actually believe it but then you will be able to see one such ad in a streak of 3 to 4 ads at any given point of time on Indian Television. Snapdeal yet another aggressive advertiser currently on Indian TV but then is there nothing they offer as unique. They are yet another ecommerce site and on top of that there are so many horror stories about wrong product being delivered by them and so instead of burning so much money on TV commercials, they could have build a complete logistic system with the amount of money they have spend on advertising. Quickr and olx are yet another advertiser on Indian TV that don’t have anything unique to offer and are yet another classifieds site with big marketing budget. JustDial is much better classified site compared to OLX and Quickr. In fact Quickr and OLX have a major issue of connecting buyers with sellers which is what they are advertising for. You can list a product if you want to sell but they also have an option to create listing of items you want to buy. So no one actually searches the site for sellers and when anybody wants to be buying they just create a listing. So it is nothing but just waste of time apart from those who are using these sites for Kabaadi business aka buying and selling old stuff. I wanted to dispose off my old furniture and both the sites never got me any serious buyers. One or two calls here and there. I thought cars were all about comfort and style but recent ad by Maruti Suzuki is you can create chocolate milk shake in the car. The only reason for such an ad as I see is there is nothing unique that they can show off in a Hatch back car. When they launched automatic cars, they had some nice ads. Xiaomi MI3 never advertised in India but it was being sold out in less than 2 seconds on Flipkart every week whereas those mobile phones offering selfie with a blink of an eye may not be able to sustain very long. I am not in support of Xiaomi’s MI3 nor I am against Panasonic’s Eluga S but then the idea is to build a WOW factor in a product or making the product remarkable so it doesn’t need those costly and stupid ads. The only way you can be successful in this era of Internet is by being remarkable. Are you being remarkable with what you are doing?